We have a 5 star rating from over 10 reviews at Facebook, Google & TrustPilot. Rate us. 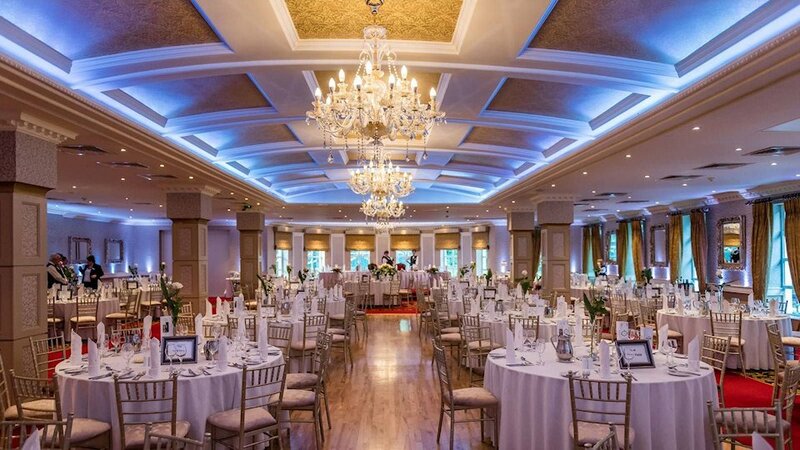 The ONLY list of all the Wedding Venues Ireland has to offer, they're all here. See the venue's website, email, phone, Facebook, Twitter - no tricks. 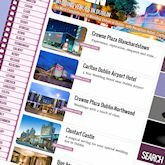 Quickly find all your local venues, or search for something different. 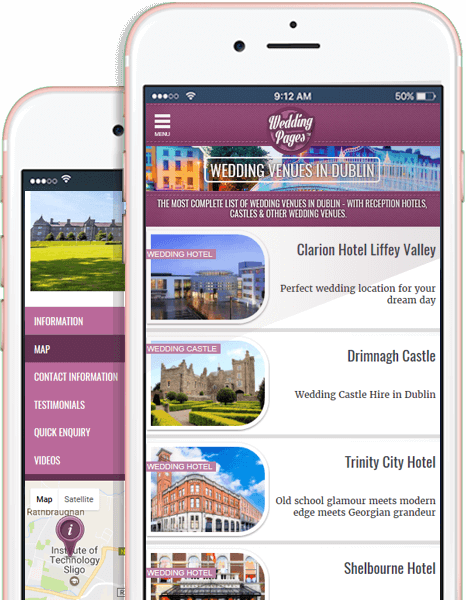 We are the only website dedicated to finding & listing EVERY wedding venue in Ireland, and not only wedding reception venues, but civil ceremony venues too. Inside you'll see videos, photos, maps, live Facebook news updates, phone, website and email links - you can even enquire directly with the venues right there on their page.. The ONLY wedding venue resource you'll need. Well you got this far - you chose the partner, you got the ring - now you just need a venue and you're well on the way to your new career as a high class wedding planner :-). So you dig out grandads old computer from the shed, click yourself into "the Google" and type in those magical words - wedding venues ... and like every other bride/groom-to-be in the country, your eyes glaze over as you trawl through endless advertising pages entitled "top 20 wedding venues", "best wedding venues", "34 amazing wedding venues" - don't you wish someone would just make a list of them all so you could just get on with it! Well you just found it, you've arrived, now put the kettle on and prepare to dive into the "amazing super fabulous best top venues in the universe" (too much?). 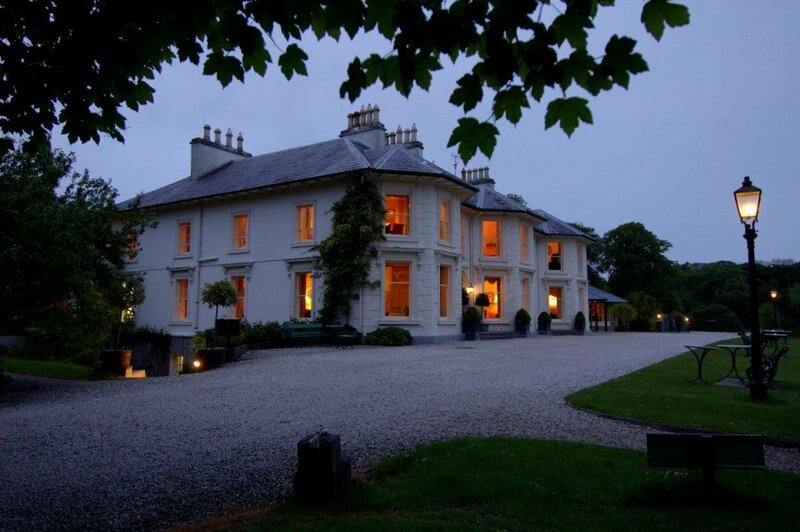 Every couple is different, so while there are hundreds of beautiful classic hotel type venues in this list, we've also gone to great lengths to find all the unusual or quirky wedding venues in Ireland as well - along with what are considered Ireland's destination wedding specialities - castles, country houses and manors. Basically it's all here, whether you want to get married in a castle, brewery, boat, stadium, a theatre or even a zoo! While the romance and ambiance are important, you still have to remember you're looking for a wedding venue that has to accommodate all your invited family and friends - of all ages. So before you continue, you should consider accessible bathrooms for the older guests, or suitability for kids (and their designated sober and hyper-caffeinated parent). Knowing these things from the start makes the decisions you have to make later a lot easier... and even if you're planning to arrive in a fleet of pink helicopters or on a pink unicorn, then a helipad (or accessible drinking trough) is something you'll have to think about at this stage too. Choose a location, or a venue type below to start viewing the venues. Even at this early stage in your wedding planning process, there's a lot you can do to get yourselves up to speed with the latest and greatest in Irish Weddings. All around you there are Wedding Venues hosting wedding fairs, wedding showcases and even midweek evening events. They're all worth the look, and any opportunity to talk to your local wedding suppliers & experts shouldn't be missed. 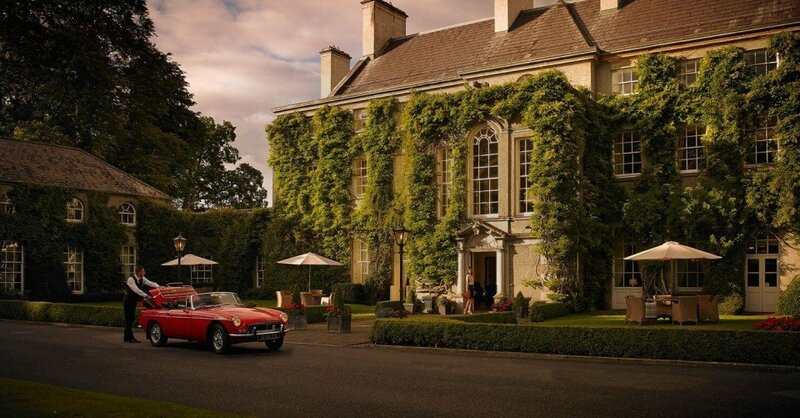 There's a reason Irish hospitality has achieved legendary status on the world tourism stage. You take a country with a beautiful and varied landscape: dotted with castles, ancient forests, stunning beaches and historic towns & cities; add to it "a thousand welcomes" from the friendliest people in the world (and take away all the snakes and scary spiders); and you're not in a place anymore - you're in "an experience". On a rare occasion we do get a small drop of rain, but it keeps the dust down and is easily dried off in front of one of the many warm turf fires we've got setup around the place. Getting back to weddings, and aside from the undeniably romantic setting we've perfected here, our arts and musical talent is bewilderingly strong for such a small country - so our wedding photographers are renowned and travel worldwide, our musicians and the wedding bands Ireland is home to could be playing in front of royalty last week and putting just as much effort and energy into entertaining you and your guests the next week - not to mention the superb selection of wedding dress designers, milliners and other vendors who go into making Irish weddings the best in the world! 1 . DISCUSS THE type of wedding venue do you both actually want? I know this is an obvious one, but if you haven't had the discussion between you about what you had in mind in a venue (or don't mind), expectations of a wedding budget, or how long you're prepared to wait (if you're opening a regular wedding savings account etc) then you probably should make time for that before you start. This is the first of many wedding planning discussions you'll have, so set a 'chocolates & wine' precedence and the whole wedding thing will be a breeze! 2. 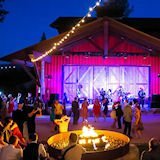 'GUESTIMATE' your guest NUMBERS - Wedding size vs venue capacity? So now you have a reasonable idea of what you want, let's make a ballpark number of guests - how big do you think it can get (now is the only time in your marriage where size matters ..em)? 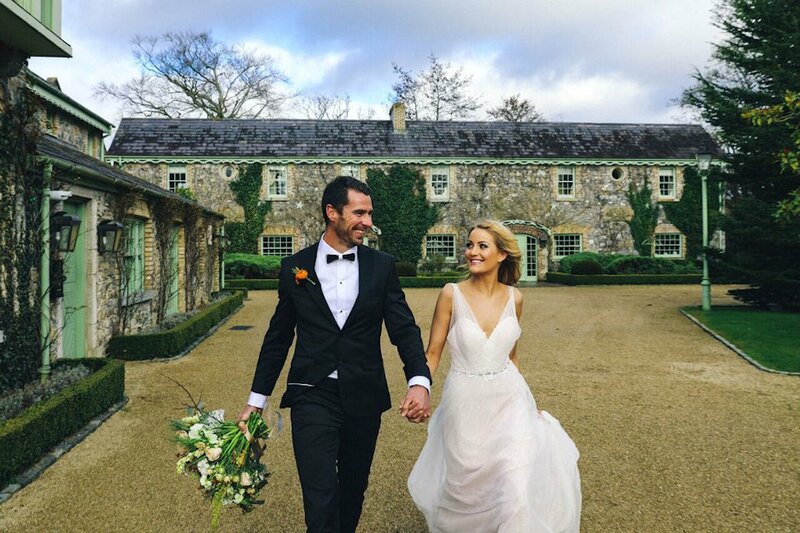 It's generally thought that the larger hotel type venues will hold a bigger crowd, but there are quite a number of manor house and castle wedding venues in Ireland which will do the job equally as well. One caveat however, if you're hosting a larger crowd it's good to ask the venue about guest accommodation, whether it's onsite or they have a list of local guesthouses and hotels that are suitable for your guests, and ultimately if that's going to suit your guests (granny in a wheelchair, new mother-in-law in a neck brace, uncle Gerry's kids who wouldn't walk the length of themselves etc..). 3. CONSIDER IF the venue really haS to be local? Many of our venues are also registered as civil ceremony venues - which basically means that you have the option to host both the ceremony and the wedding reception in the same place. Which begs the question - do you really need to have the wedding in Cork if his crowd is travelling all the way from Hackballs Cross (Co Louth)? Would one of the many venues in the middle be a better option? Now you have an idea of guest numbers and a fairly good idea of where the venue could be, you're into the fun part - checking out your options. Keep an open mind for this part! You might be dead against having it in a hotel, or maybe you don't think you could possibly manage to plan the entire wedding yourselves if you rented out a place - but there are some hotels that are really unique and worth a visit; and renting a venue and hiring a wedding planner isn't as expensive as you might think. Think about the other weddings you've been to: which ones stood out, what were the best (and worst) things about those weddings, and were those elements specifically to do with the type of venue or were they extra touches the couple added themselves? 5. Shortlist your wedding venues. By this stage you've both probably got a few venues in mind, and it's time to break out the wine and chocolates again (dammit, not again!). This is where our little Wedding Pages enquiry forms come in very handy. So without having to construct a 2,000 word Shakespearean email outlining your many likes, concerns and seasonal menu preferences; and without having to unleash your posh phone voice (we both know you have one); it's a simple matter of filling in the quick form with a few details, and your enquiry goes directly to the wedding coordinator at that venue. They'll get back to you with prices and availability, along with any other information specific to weddings at their venue - which of course is their area of expertise. 6. TRY TO MAKE YOUR wedding date flexible? 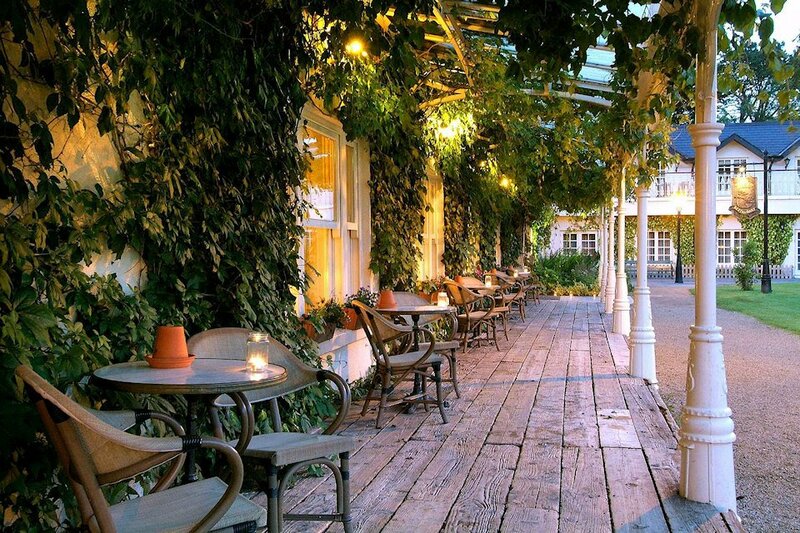 You may have fallen in love with a particular venue, but it's not available on the August bank holiday weekend (the most popular date in the year for weddings). Consider stretching out your plans by a month or 2 (..or more), and you could still get your dream venue, with a better rate, perhaps a better candlelit experience, more time to save, a better price on your honeymoon (with more availability for annual leave days for you and your guests), plus more time to work off all the essential wine and chocolates you've been having during the intense wedding planning discussions. Oh, and if it helps, here's some handy monthly Irish weather charts from Met Eireann. 1 . Are there any restrictions we need to know about? This is vital. You may have found the perfect venue, with the beautiful "orangery" and the giant heart shaped bed in the bridal suite - but what would happen in 10 months, when you've got the invites out, and you find out that the venue has a 10:30pm curfew, or if they have a strict policy regarding outside wedding caterers, or a fire safety policy that prohibits inviting afters guests? When you are making these initial inquiries with venues, ask lots of questions and check the last page or two (usually) of their current brochure for the details. 2. Are the wedding packages fixed, what about extras? You've opted for the venue's silver package, but you really like the burgundy chair covers from the bronze package. How much are any changes or extras, and if you decide on an outside wedding supplier for say the flowers (instead of the hotel's arrangement), can you knock the flowers portion off your bill? Is there a corkage charge for wine? Can you bring your own alcohol? 3. What else can the venue supply? Does the venue have a list of other services or supplies that it can provide, or does it have a special arrangement with a local trusted supplier which could save you money? Would it help to employ the services of a supplier that can work seamlessly and directly with the venue so you don't have to arrange individual meetings or setup times directly with them? 4. What's the difference in cost for a weekday? Most couples make their enquiry for a Saturday wedding, for obvious reasons. But think back over the times you attended a wedding on a Friday, or maybe even a Thursday. It wasn't so bad for you as a guest, you still enjoyed the day regardless - and you probably didn't give it a second thought after the warm prosecco reception did you? Wedding costs can get out of hand, so at every stage ask if you're getting the best price available - starting with the venue. 5. How much is the deposit, and what's the payment schedule? How much is the deposit, when is it due, is it refundable, after what period of this is it not refundable? What's the payment plan for the entire bill? 6. Is the venue exclusive to your wedding, are areas open to the public too? This is it - the big day, a romantic whirlwind, filled with flowers and frocks, friends and family and a bottomless champagne glass! But did you know there would be another bride (in a slightly nicer dress, with a slightly bigger ring) having her wedding here too - and her wedding's in the "grand ballroom" - and now your guests are sneaking into her wedding "cause they've got a chocolate fountain"! 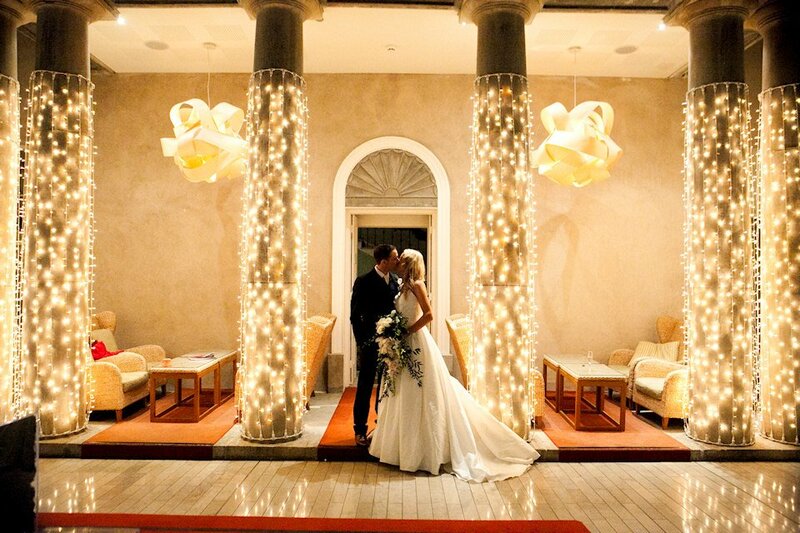 Is the venue exclusive to your wedding? Are the public areas completely separate to your arrival reception? Is your classically trained harpist going to be drowned out by the City v United match in the bar? Is that woman with the Dunnes bag one of himself's distant relatives, and is she really going to eat all of your salmon & cucumber hors d'oeuvres? 7. How late can the party go? While us Irish are a cosmopolitan lot, with our skinny lattes and our 'triple shot cherry mocha caffe macchiatos' (someone please tell me if that's a real drink! ), we do like an occasional shindig - so Irish weddings are known to push the limits of human ability when it comes to last orders or finish time. With that in mind, it's a good idea to ask your potential venues about any possible noise curfews, overtime fees or cut-off points they might have - and consider whether that might also affect your band or your plans to hire a wedding DJ. 8. What overnight accommodation is available for you and your guests? Is the bridal suite complimentary for the newlyweds? Is there a discount for wedding guests? Do you have to block book rooms and when do you need to release them by? If the venue isn't a hotel, or doesn't have on-site accommodation, do they have a list of local hotels/guest-houses and would they have sufficient accommodation for the amount of guests you're planning. It's also a good idea to ask whether the venue knows of any local events or peak times that might affect your guests being able to secure accommodation on the night of your wedding (and the night before). 9. What about the weather? While the Irish Government has yet to release the plans for the giant roof over the country, there is still the very slim chance that it might rain, or get slightly breezy on the day of your wedding. Does the venue have a contingency plan for bad weather, or an indoor space that is beautiful enough for weddings in the unlikely event of rain? 10. WhY ARE YOU STILL READING THIS? While this has been fun, you really should be checking out the list of wedding venues by now - this wedding isn't going to organise itself you know!